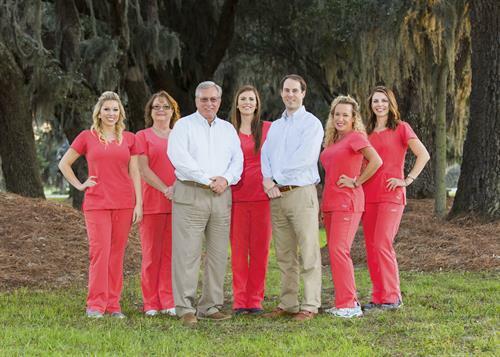 Located in the heart of St. Simons Island, Bryan Dental Associates has been providing caring, comprehensive and comfortable dental care for almost 40 years. Thomas Bryan, DMD and Thomas Sayer, DDS provide General, Preventive, Cosmetic, Restorative and Orthodontic Dentistry. We are proud to serve adults and children of all ages. Traditional insurance is welcome and we will gladly file claims on your behalf. We are located in the Plantation House in Plantation Village on St Simons Island. Plantation Village is immediately on your left after you pass Frederica Academy on Demere Rd as you arrive onto St Simons.